The album has been produced in London with star producers Dave M. Allen (The Cure, Sisters of Mercy, Human League) and Mark Ralph (Filthy Dukes, Hot Chip). 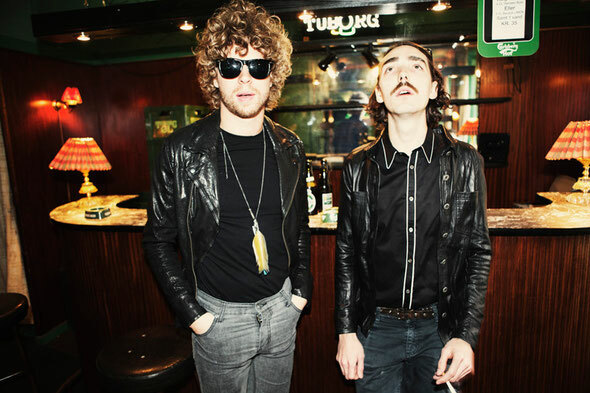 Having already laid out their agenda with the turbo-charged electro ‘Speeddance’ and the grandiose ‘Black Swan Born White’ (both released as singles on hfn this year), the rest of the record should makes good on their promise. ‘Morning Sun’ is a slice of pure aural bliss in just over thee minutes, every much as optimistic as its title. ‘Dead End’ follows next, switching up the vibe – hard and sharp riffs, thunderous drums and portentous vocals. ‘Be My Yoko Ono’ comes up next, a hand-in-hand speed rush through the city, featuring a call and response duet with the vocalist of the Danish female band Nelson Can. ‘A Flash In The Forest’ sees Mads in a reflective mood, coming across like a 21st century Ray Davies, with a nice backing vocal hook. ‘Shooting Up Sunshine’ has a chiming piano hook containing the turbo-powered euphoric pop that Reptile Youth are clearly making their own. ‘Heart Blood Beat’ fires along at a breakneck pace, a surefire live favourite with a filthy synth line. The penultimate track, ‘It’s Easy To Lose Yourself’, mixes up a sweet melody and arrangement with memorable lyrics, before the album rounds out with the longest track on the release – ‘Fear.’ It’s out September 28th on hfn/Balance Music. 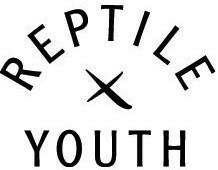 Reptile Youth: Speeddance (official music video) from hfn music on Vimeo.